(Scottsdale, AZ) –August 7, 2012 – Valerie Thompson, 3-Time Land Speed Record Holder and owner/driver of the Valerie Thompson Racing Team, is set to compete at Speed Week (August 11-17) and the BUB Speed Trials (August 25-30) at the Bonneville Salt Flats. The team also plans to compete in the September 8-11 World of Speed event, pending additional sponsorship funding. This will be Thompson’s first time competing at Speed Week and World of Speed; the Southern California Timing Association (SCTA) sanctions both events. Thompson’s first visit to the Salt Flats was in 2005 when she ran in the ‘Run-Whatcha-Brung’ class, reaching a top speed of 153.561. 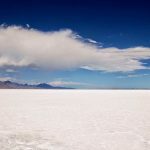 Like many first timers at Bonneville, she left with a severe case of “salt addiction.” Keith Ball hired Thompson to drive the Bikernet.com sponsored Panhead Harley-Davidson in 2006 & 2007, setting new records both years. The 2011 BUB Speed Trials was her first Bonneville competition with a BMW S1000RR with sponsorship funding from CTEK Battery Chargers. 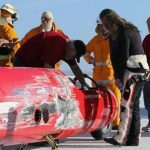 One of Thompson’s goals since her first sojourn to Bonneville is gaining entry into the ‘Bonneville 200 MPH Club,’ which has fewer than 25 female members since it was formed in 1953. 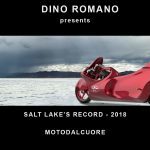 “I’ve driven the BMW to over 209 mph on a paved course, but exceeding 200 mph on salt is no easy feat, especially on just two-wheels. It would be a dream come true and a real honor to be a member of the 200 mph club at Bonneville,” stated Thompson. nd speed records. For details, visit http://www.gofundme.com/Valerie-Thompson-Racing. Thompson is owner/driver of the Valerie Thompson Land Speed Racing Motorcycle Team. She holds two land speed records at the Bonneville Salt Flats and a third from the 2012 Ohio Mile. Thompson has also competed in the All Harley Drag Racing Association & National Hot Rod Association series. Thompson’s sponsors include Martech Services Company – maker of quality air breathing products, CTEK Battery Chargers, La-Man Corporation, Troon Enterprises, Stay Fast Custom Clothing, GO AZ Motorcycles of Scottsdale, Metro Auto Auctions, Swisstrax Interlocking Flooring, JEGS, Vortex Racing, Worldwide Bearings, Stand Up Photos, AAMCO Transmissions & Total Car Care-Phoenix, Hyperpro Performance Suspension Products, Shorai Battery, and ZipFizz Healthy Energy Drink.